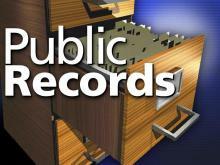 WHAT IS CONSIDERED A PUBLIC RECORD BY LAW? The law defines a public record as follows. “Public record” includes, but is not limited to, any writing containing information relating to the conduct or administration of the public’s business prepared, owned, used or retained by any state agency, independent public body corporate and politic or local agency regardless of physical form or characteristics. The law also defines writing as follows. “Writing” includes, but is not limited to, handwriting, typewriting, printing, photostating, photographing and every means of recording, including letters, words, pictures, sounds or symbols or combination thereof, and all papers, maps, magnetic or paper tapes, photographic films and prints, magnetic or punched cards, discs, drums or other documents. Public records are open to inspection during regular City office hours, except for City Holidays. While there are charges for the duplication of records (free up to 100 pages) there is no charge to inspect or view records. In order for the City staff to best serve the public, all requests must be made in writing. This helps to more accurately identify the records sought and process the request more efficiently. 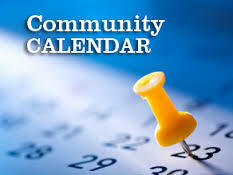 Please fill out the form below and be as specific as possible when making your request; include dates and times if applicable, and any details regarding the information you are requesting. Please submit your completed request to the City Clerk’s Office, 3548 N. Main Street, Iona, ID 83427, or by fax (208)-535-0087, or by email to: cityclerk@cityofiona.org. WHAT IS THE RESPONSE TIME ON A PUBLIC RECORDS REQUEST? The City Clerk’s office will process a request within three (3) working days after the request is received. However, if it is determined a longer period is needed to locate or retrieve your request, staff will notify you in writing via email or mail, and provide the public records no later than (10) working days following receipt of your request.